Robotic surgery involves use of the da Vinci robotic surgical unit in performing complex surgical procedures such as prostatectomy (removal of the prostate gland for cancer). Originally developed for space and military uses, this advanced technology allows the operating surgeon to sit behind a console and control the robot that is next to the patient to perform surgery. The da Vinci robotic surgical system is available at Max Hospital, Saket, New Delhi, India. Robotic Prostatectomy, also known as Robotic surgery for prostate cancer or da Vinci® Prostatectomy is a minimally invasive surgery that is now the preferred approach for removal of the prostate in those diagnosed with organ-confined prostate cancer. 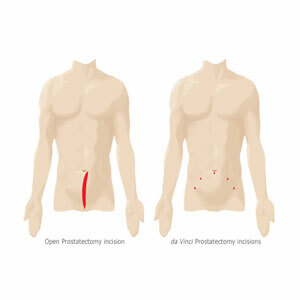 The da Vinci Prostatectomy may be the most effective, least invasive prostate surgery performed today. Though any diagnosis of cancer can be traumatic, the good news is that if your doctor recommends prostate surgery, the cancer was probably caught early. And, with da Vinci Prostatectomy, the likelihood of a complete recovery from prostate cancer without long-term side effects is, for most patients, better than it has ever been. During the dVP, a telescopic lens is inserted into one of the small incisions. This provides a magnified 3 dimensional view of the delicate nerves and muscle surrounding the prostate, thus allowing optimal preservation of these vital structures. The da Vinci Surgical System enables surgeons to operate with unmatched precision and control using only a few small incisions. Recent studies suggest that robotic surgery may offer improved cancer control and a faster return to potency and continence. As with any surgery, these benefits cannot be guaranteed, as surgery is both patient- and procedure-specific. While prostatectomy performed using the da Vinci Surgical System is considered safe and effective, this procedure may not be appropriate for every individual. Always ask your doctor about all treatment options, as well as their risks and benefits. 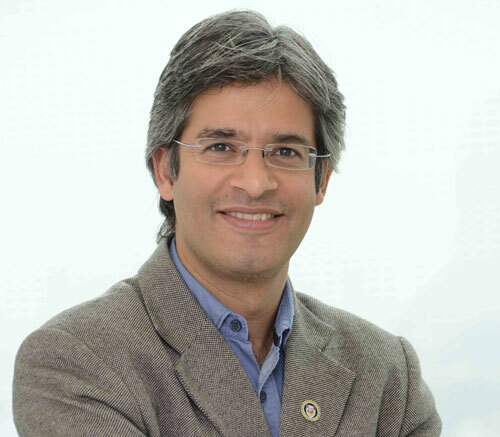 If you are a candidate for prostate surgery, talk to a surgeon who performs a robotic operation. Finally, it is important to remember that it is the surgeon (and not the robot) who is doing the operation. Structured training and specialized experience in robotic surgery on the part of the surgeon goes a long way in ensuring successful outcomes for the patient.